Is your mind drawing a blank on what to do with your limousine service Perth? There’s a lot you can do with and in a limo, but sometimes your creativity just isn’t coming up. Well, there’s more than a few ideas that can help perk you up. You can still get a little more fun out of that limo you booked. You’d be surprised at just how much fun it can be if you just find a little more willing to let go and ease up on yourself. One thing you can do is live the dream of being the head of your own business empire. Let’s face it. We’re not all Elon Musk or Richard Branson. We don’t all have a massive corporate empire. 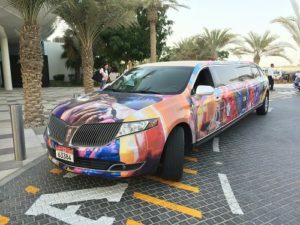 However, with you riding a limo, you can at least pretend that you’re one of the “masters of the universe.” Take a limo to work or a meeting one day. If your team delivered a huge, challenging project ahead of schedule, rent a limo for the group. If you landed a big account, celebrate with a fancy ride. Make it through a long, painful week? Book a limo for the ride home! Another idea is to spend, spend, spend! There are few things in life that bring up the image of cash and consumerism than the limousine. Give yourself a limo that has a lot of room for all the things that you acquire through a little retail therapy. There’s plenty of space for the purchases and for the people doing the purchasing. Of course, a good idea is to pair retail therapy with arriving in a spa or similar places. A quick facial or massage is a great way to relax. Modern life is prone to causing people to stress out a lot. Over time, it starts to build and risk exploding in a sudden burst. A spa treatment is a great way to reduce that problem. If you ride to the spa in a limo, you can start that relaxation earlier. With a limo, you can also make it last a little bit longer. Another idea is to ride out of the city, taking to the road to smaller places. If you’ve always thought of visiting another place that was just outside Perth, you could ride there in class. A limo is an awesome way to get there, as well as a relaxing way to make the trip last a little bit longer.